From 3 January to 31 March 2017, you can enjoy exclusive dining privileges at Ruby Tuesday with your Standard Chartered / MANHATTAN Credit Card. Pamper your taste buds with culinary delights! The Offer is not available on 28-31 January and 14 February 2017. The Offer is not applicable to take-away items, set menu, alcoholic beverages, party reservations, discounted dishes, any Monthly Special items and/or 10% service charge. The Offer is not applicable to Standard Chartered UnionPay Dual Currency Platinum Credit Card. Offers are subject to Terms and Conditions. Please click here for details. The promotion period is from 3 January to 31 March 2017 (both dates inclusive) ("Promotion Period"). Unless otherwise specified, to be eligible for the Promotion, Cardholders should settle payment with credit cards issued by Standard Chartered Bank (Hong Kong) Limited (the 'Bank'), including Standard Chartered Credit Card and its Co-branded Card, Standard Chartered WorldMiles Card, MANHATTAN Credit Card and its Co-branded Card (except Standard Chartered UnionPay Dual Currency Platinum Credit Card, Standard Chartered Corporate Card and Standard Chartered Business Card) ('Eligible Cards'). 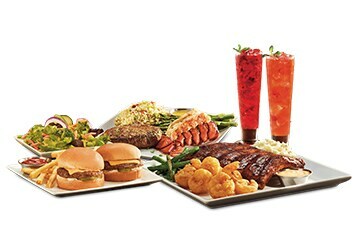 During the Promotion Period, Cardholders can enjoy 30% off on food and non-alcoholic beverages. The Promotion is not applicable to take-away items, set menu, alcoholic beverages, party reservations, discounted dishes, any Monthly Special items, and/or 10% service charge. The Promotion is not available on 28-31 January 2017 and 14 February 2017. The Promotion is only applicable to dine-in orders only. 10% service charge applies based on original prices. The Promotion can only be enjoyed once per table. The Promotion is non-refundable, not redeemable for cash, non-exchangeable or non-transferable, and cannot be used in conjunction with other vouchers, discounts or Promotional offer (including all Ruby Tuesday membership discounts). The Promotion is valid at all Ruby Tuesday restaurants in Hong Kong only. All photos and product information are for reference only. Cardholders understand and accept that the Bank is not the supplier of the products/services purchased from the Merchant. The Bank shall bear no liability relating to any aspect of the products/services, including without limitation, their quality, the supply, the descriptions of goods and/or services provided by the Merchant, any false trade description, misrepresentation, mis-statement, omission, unauthorized representation, unfair trade practices or conduct in connection with this Promotion of the offers or in making available the offers or the products and/or services under the Promotion, by the Merchant, its employees, officers or agents. The Bank and Asia Pacific RT (Hong Kong) Limited reserve the right to alter, extend or terminate the offers and amend the terms and conditions at any time. In case of disputes, the decision of the Bank and merchant shall be final and binding. Standard Chartered Bank Mobile Banking Touch Login services, the first bank in Hong Kong that enables you to access all the services in a mobile banking app, using fingerprint authentication. Now, you can experience a more secure, simple and convenient mobile banking service with this innovative technology. You still don’t have the only Asia Miles Co-branded Card in Hong Kong? From now till 31 May 2017, upon successful application of Standard Chartered Asia Miles Mastercard, you can enjoy a welcome offer of HK$0.5 = 1 for the first HK$7,500 spending and HK$2 = 1 for the subsequent spending, total up to 30,000. Welcome Offer is only applicable to the eligible transactions and subject to a maximum limit of Asia Miles. Terms and conditions apply. Remark: Annualised Percentage Rate ("APR") for retail purchase is 33.41%; annual fee is HK$1,800. An APR is a reference rate which includes the basic interest rate and other fees and charges of a product expressed as an annualised rate.